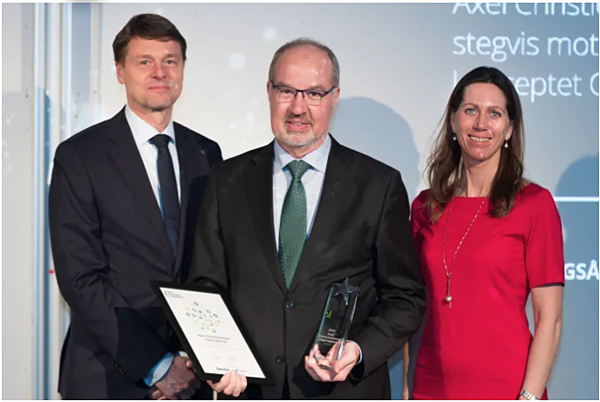 AXEL Christiernsson has received the 2019 Sweden’s Best Managed Companies recognition, sponsored by Deloitte in cooperation with Nasdaq. During the last fifteen years, the AXEL Christiernsson Group (AXEL) has expanded and become one of the leading producers and suppliers of lubricating greases in the world, with state-of-the-art manufacturing facilities in Sweden, the Netherlands and France, as well as three plants in the USA. The company has thus transformed from being a local producer in Scandinavia to becoming a leading supplier of lubricating greases in the “business to business” market. – There are many strong companies in Sweden and it has been exciting to get to know some of them through this program. We are delighted to be involved in recognising such an important part of the Swedish market, says Håkan Sjögren, independent jury member and Managing Director & Responsible for listings at Nasdaq Stockholm. Best Managed Companies is a quality award to recognize the overall success of private Swedish companies based on strategic direction, ability to execute, corporate culture and financial performance. Best Managed Companies was established in Canada in 1993 and has since then been introduced in more than 20 countries around the world. Sweden’s Best Managed Companies was launched during 2018 by Deloitte in cooperation with Nasdaq. – We are honored to receive this prize and thankful to all the AXEL team for making it a reality. We have had many things to celebrate in the recent past including our 130th year anniversary, welcoming Royal Manufacturing as part of AXEL and a record growth year in 2018. We will continue to invest in our people, plants and processes and look forward to further strengthening our partnerships with our current clients and creating new partnerships going forward, says Johan Stureson, AXEL Christiernsson CEO.